The last one, passed in 2017 and intended for operations, has a three-year sunset, so it would expire in 2020. The new proposals, which will appear on the Nov. 6 ballot, calls for a mill levy increase of 2.81 mills, taking the new overall levy to roughly 10.4 mills. 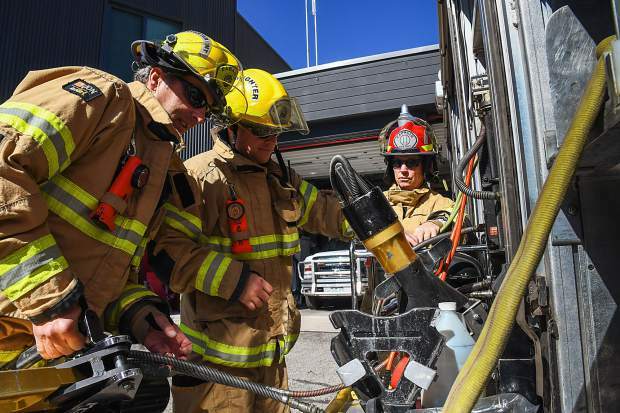 Glenwood Springs Fire and the associated rural fire district also will seek the extension and combination of two existing property taxes that are set to expire in the near future. That, too, will be in the Nov. 6 ballot for Glenwood-area voters to decide. One specific area the CRFPD states the new mill levy would help adequately fund includes an increase in staff. The mill levy being proposed, if approved, would eventually lead to a minimum of six responders per 24-hour shift. Currently, the Carbondale district has funds for three to four on-duty 24-hour responders per shift. Another area the mill levy would specifically address pertains to ambulance calls. Currently, the CRFPD can staff three or four on duty, 24-hour responders. However, with no hospital in the district, patients who need transportation to Valley View Hospital in Glenwood Springs can cause significant out-of-service times, particularly if a call came in from Redstone or Marble. Financially speaking, Ballot Issue 7B, if approved, would fund $571,081 for personnel; $29,523 for training; $35,000 for volunteer recruitment and retention; $58,857 for equipment; and $250,000 for continuing capital, according to information being distributed by the fire district.